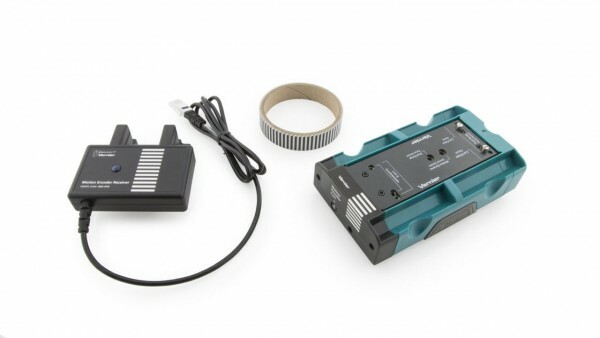 Produktinformationen "Motion Encoder Cart and Receiver"
The Motion Encoder Cart and Receiver is for users of the Vernier Dynamics Cart and Track System (DTS) who want to add Motion Encoder capability. It includes a fully assembled Motion Encoder Cart (DTS-CART-MEC), as well as the Motion Encoder Receiver (MEC-BTD) and a Motion Encoder Long Track Strip (METS-LONG). The Motion Encoder Long Track Strip can be trimmed to fit the 1.2 m dynamics track. This product is only compatible with Vernier Dynamics Cart and Track System. Weiterführende Links zu "Motion Encoder Cart and Receiver"
Garantie(Jahre) "Motion Encoder Cart and Receiver"
Videos "Motion Encoder Cart and Receiver"
Weitere Info "Motion Encoder Cart and Receiver"
Kundenbewertungen für "Motion Encoder Cart and Receiver"